The trail will use existing trails like the Dequindre Cut and the Riverwalk, along with land acquired by the city in recent years. Parts of the greenway will “touch” neighbors Ferndale and Dearborn and some of the trail will be a part of the upcoming statewide Iron Belle Trail. Officials hope to finalize the greenway plan in early 2020. 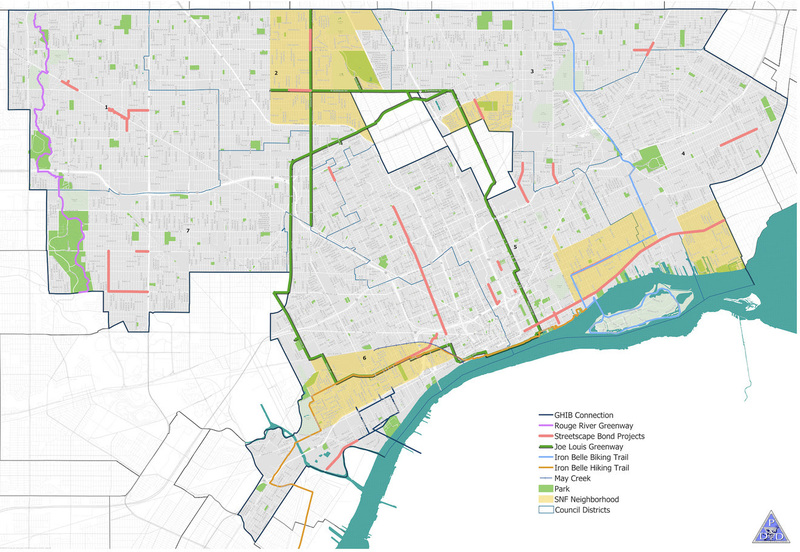 Also taken into consideration will be how the greenway will work with various infrastructure, parks, and modes of transportation, including the Gordie Howe International Bridge, the Iron Belle Trail, and bus systems DDOT and SMART. review existing conditions of the path, determine alignment and access points, develop a phasing and implementation plan, incorporate effective stormwater management techniques, and create a signature greenway connected to local arts, culture, and history. Tributes including murals and art installations could honor Joe Louis throughout the trail. The community is encouraged to attend one of the meetings, share thoughts on the plans, and ask questions. An RSVP is suggested. Construction of the remainder of the trail is expected to start in 2020.